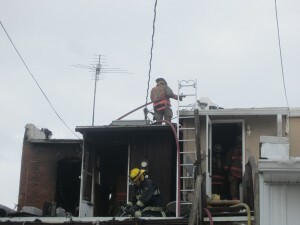 An upstairs apartment unit was destroyed by fire yesterday afternoon. 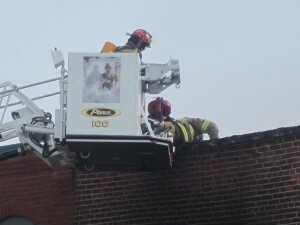 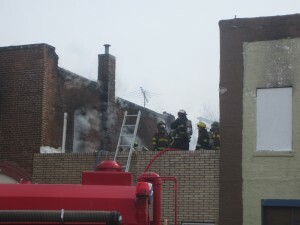 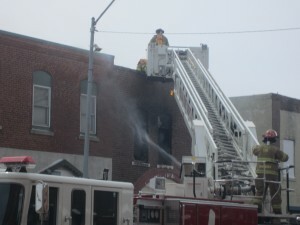 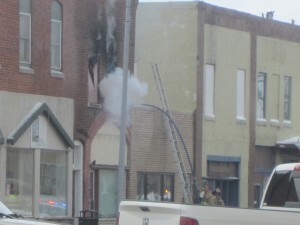 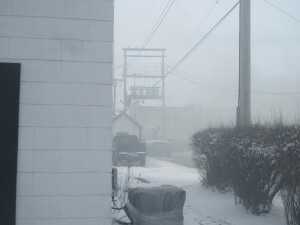 Knoxville fire crews responded just before 2pm to reports of smoke coming from the back of 110 East Robinson Streets. 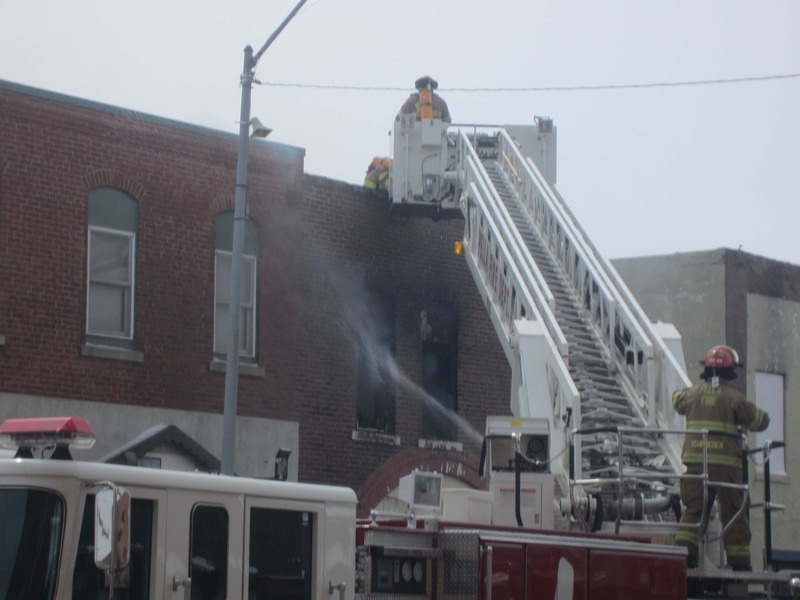 Fire Chief Nick Bonstell tells KNIA/KRLS News that they quickly decided to attack the fire defensively due to the building’s questionable structural integrity. 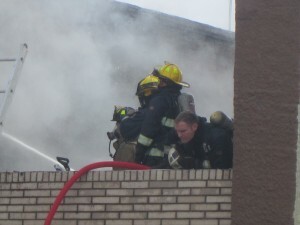 He says they acted offensively in attempting to save an apartment unit to the east. He adds the building to the west was just one story, allowing them to attack the fire directly there as well. 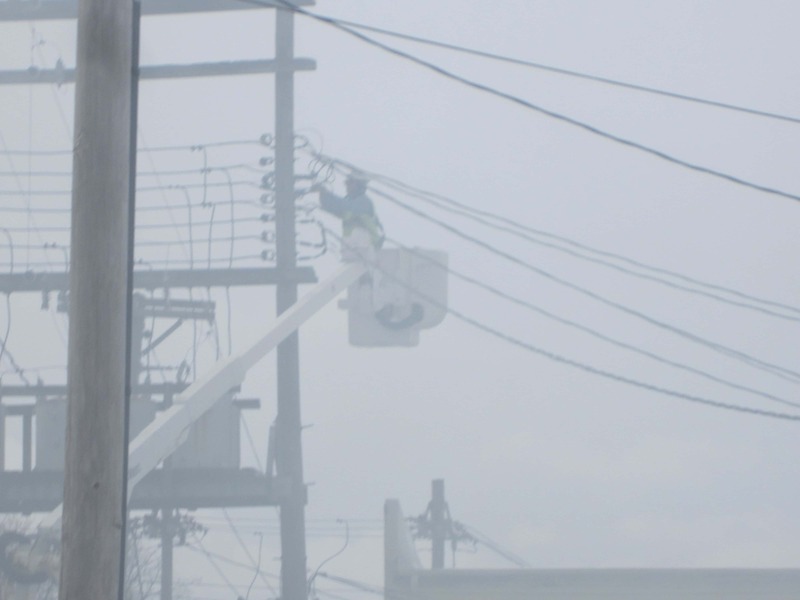 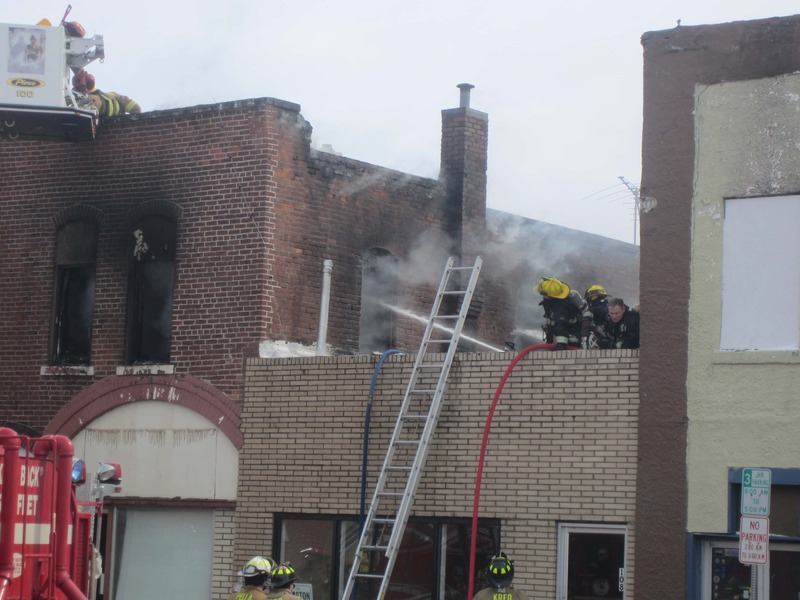 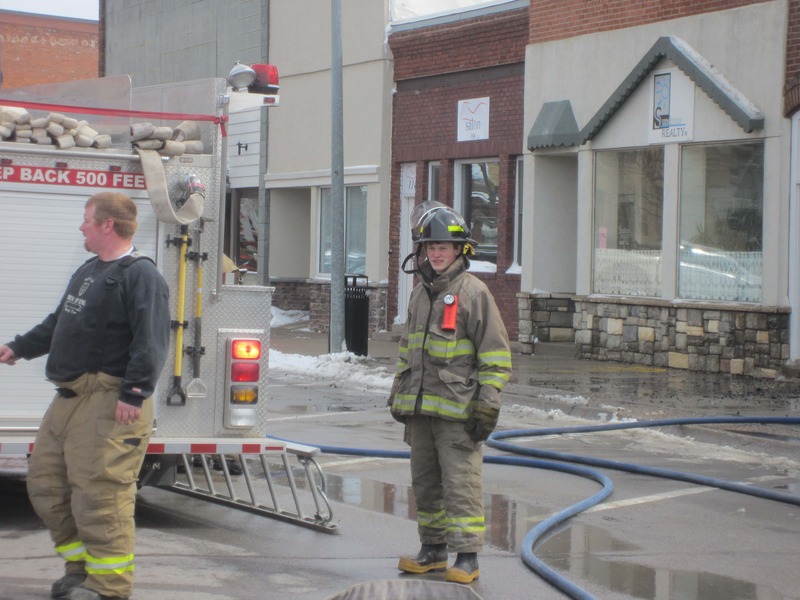 Several local fire crews were paged to help with the blaze, including Knoxville Township Rural Fire Department, Pleasantville Fire Department, Indiana Township, and the Pella Fire Department. 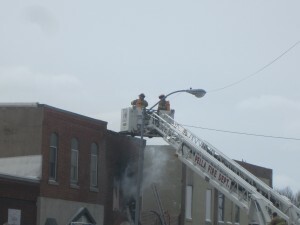 Bonstell explains they were able to put down most of the flames, but the fire was caught between the ceiling and the top of the roof. 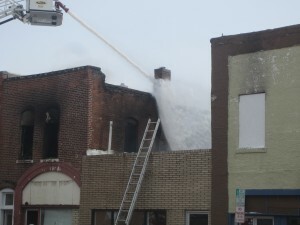 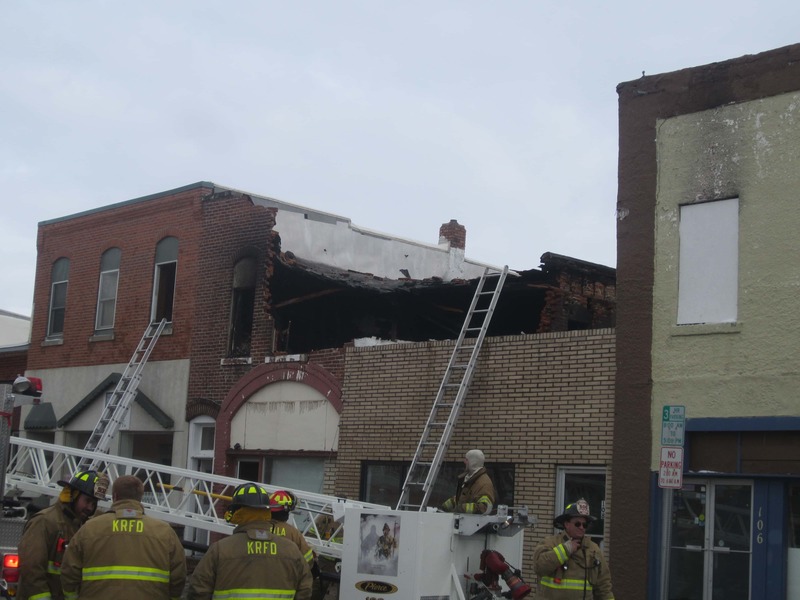 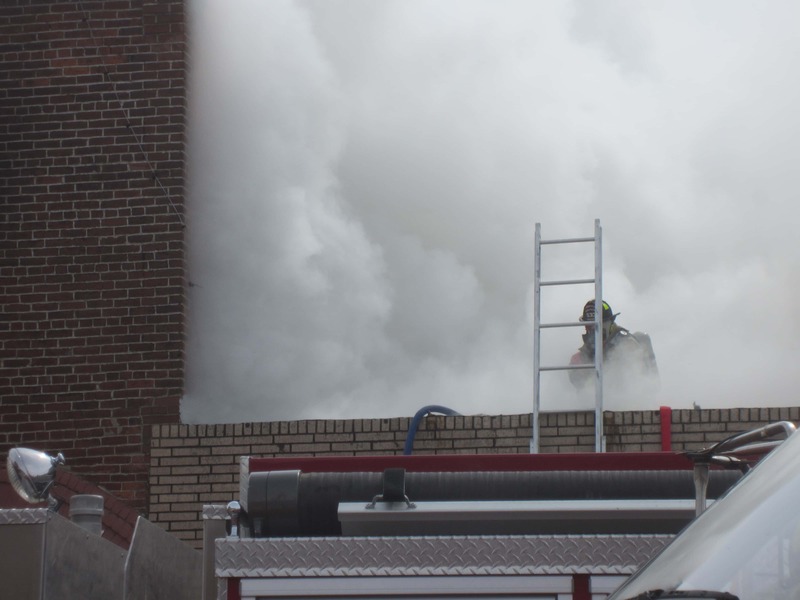 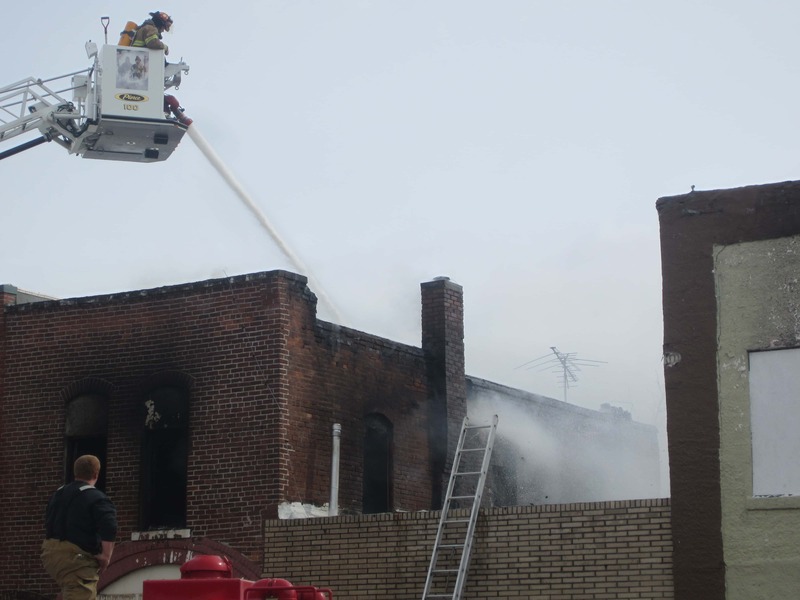 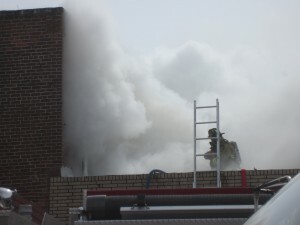 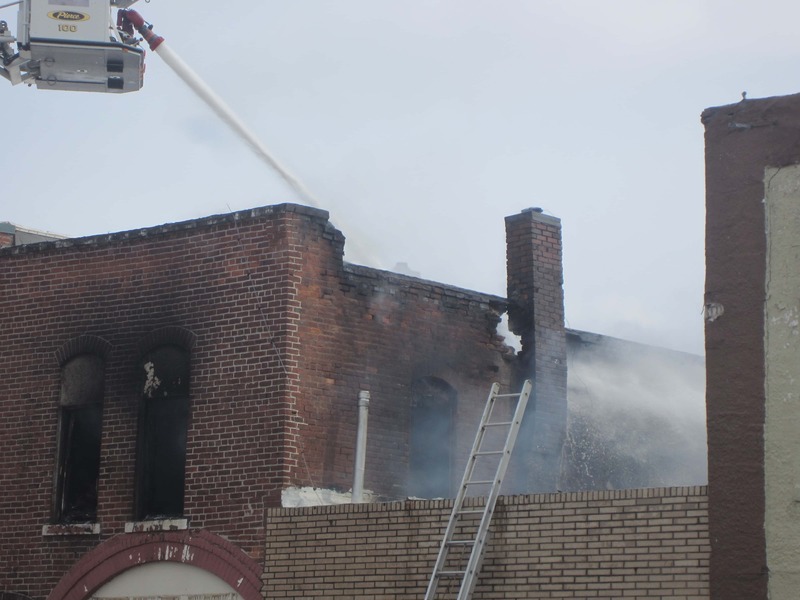 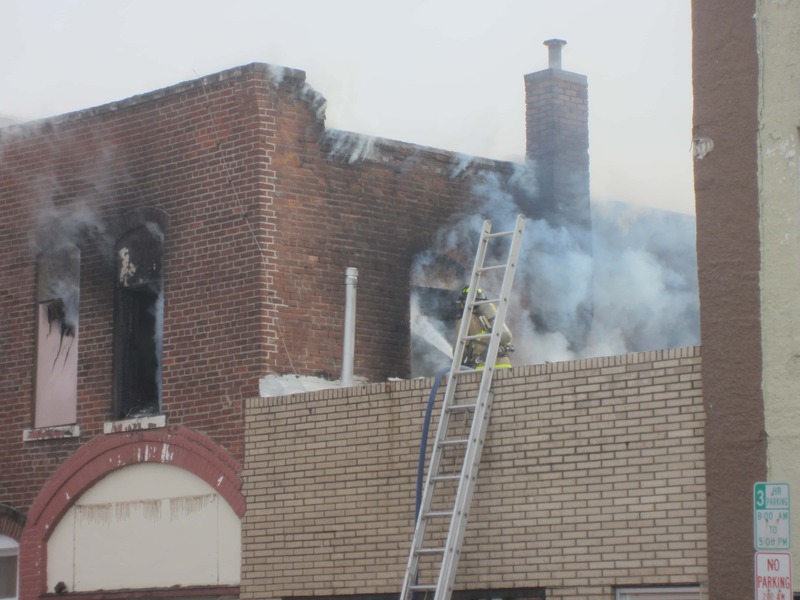 In order to expose put it out, he says they had to use the Pella Fire Department’s ladder truck and blast the roof and part of the west wall away with water. 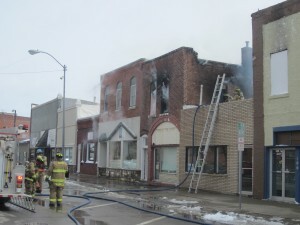 Marion County Emergency Management and Marion County Public Health also responded. 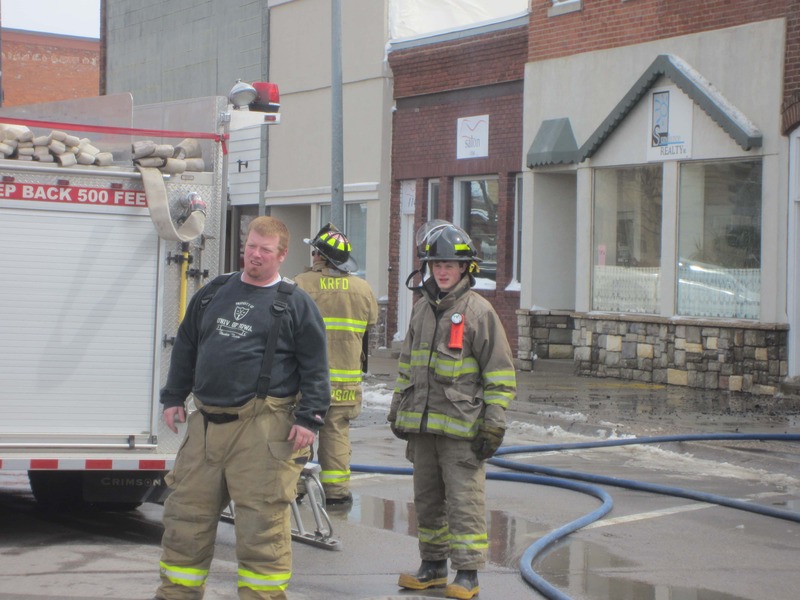 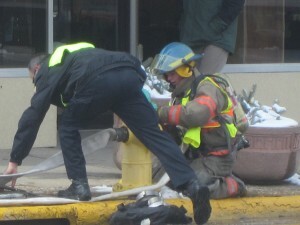 Hometown Meats provided firefighters with food and drink free of charge. 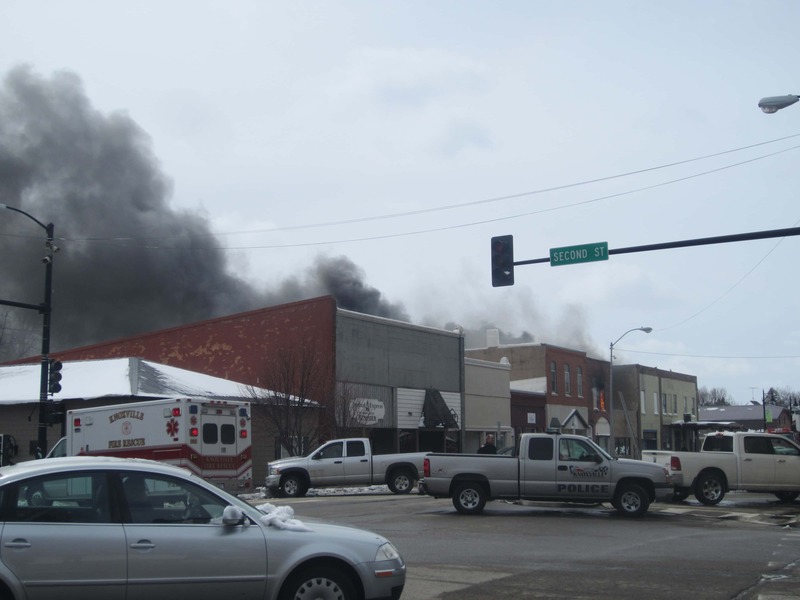 Marion County Court records show that Susan Vincent holds a contract to the deed. 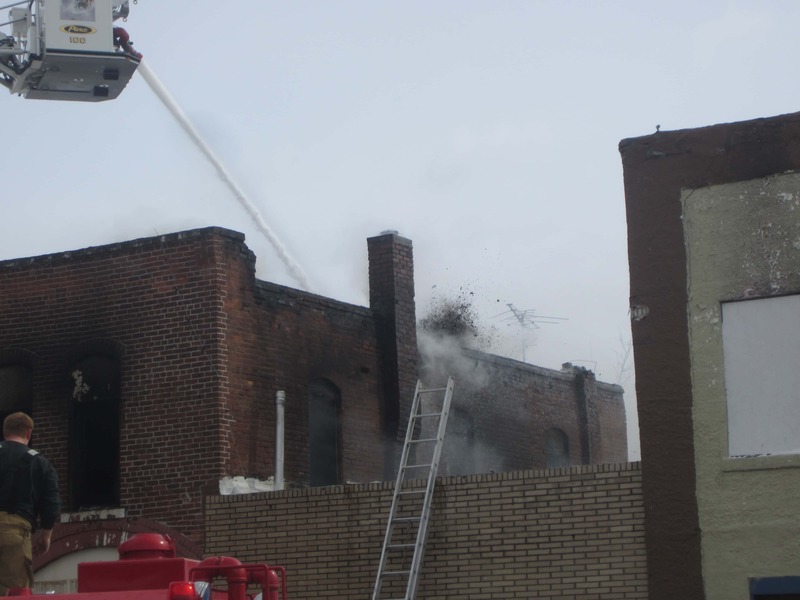 The Marion County Fire Investigator and the Knoxville Fire Department is seeking photos and video of the fire in Knoxville Monday afternoon. 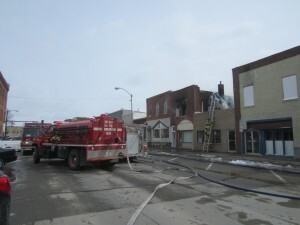 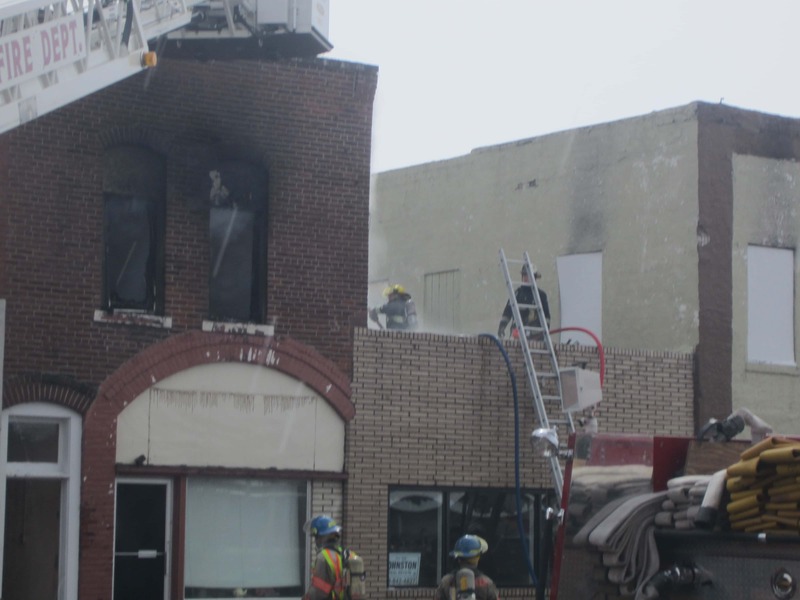 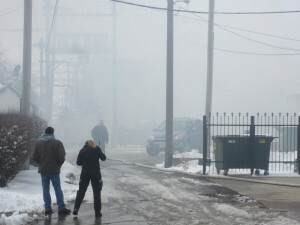 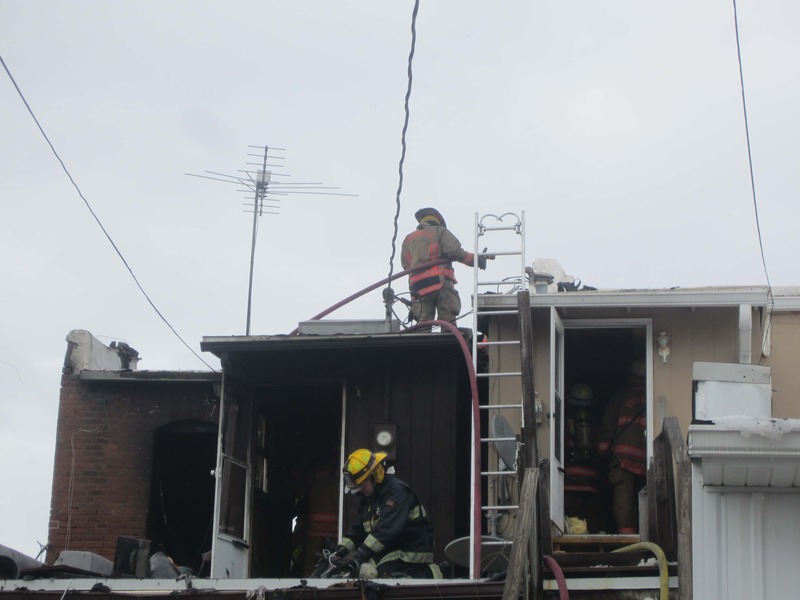 The event was photographed and videotaped by many in the crowd that gathered to observe the fire, and any photographs and video obtained by the public may be useful in the investigation of the cause of the fire. 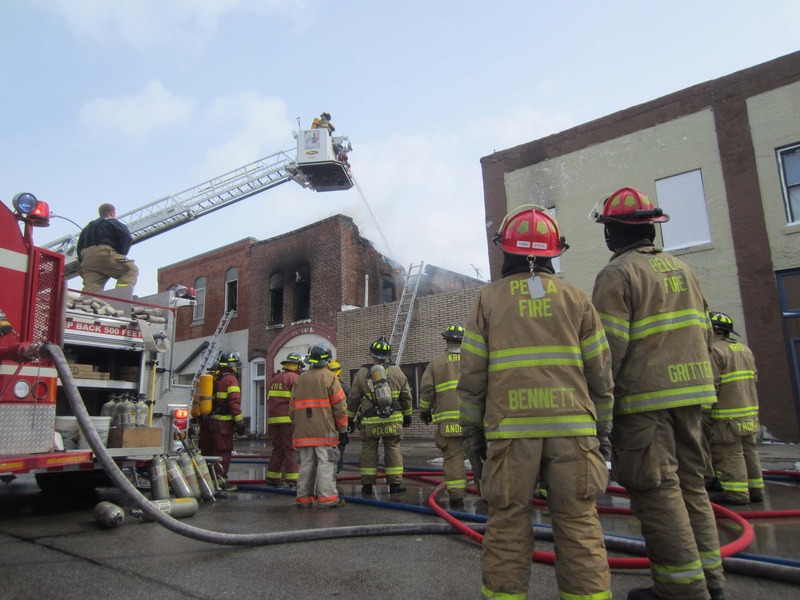 If you have video or photos that you believe might be useful, send them to knoxvillenews@kniakrls.com, or bring them by the KNIA/KRlS studio, or to the Knoxville Fire Department, or the Marion County Sheriff’s Office. 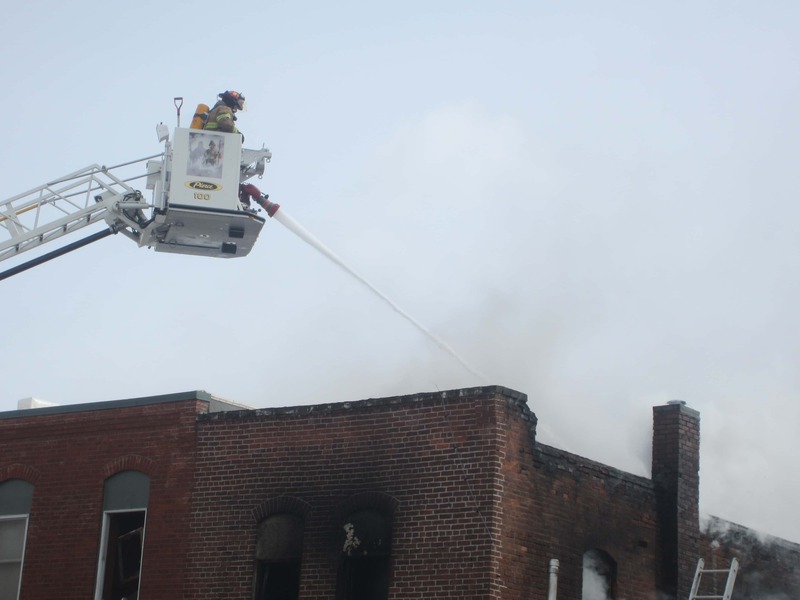 While the upper floor to the building engulfed by the fire has been destroyed, Knoxville Fire Chief Nick Bonstell tells KNIA/KRLS that he hopes that the businesses on both sides of the building will be able to continue business soon, despite the water and smoke damage to the buildings. 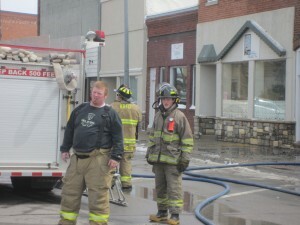 More photos are posted below. 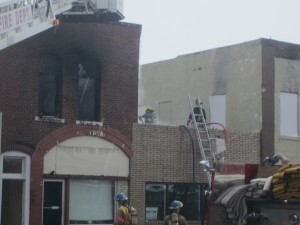 Click twice on photos to enlarge them. 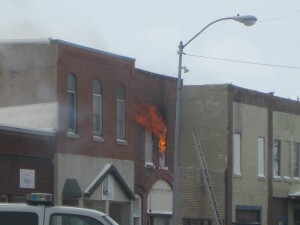 We will continue to post more photos and videos this evening. We interviewed Knoxville Fire Chief Nick Bonstell on scene – click below for his comments.